Points Needed: 79150 Software is not compatible with mobile and tablet devices. Please add this title to your Wish List and sign on to your the first club account from a desktop computer to complete your redemption. 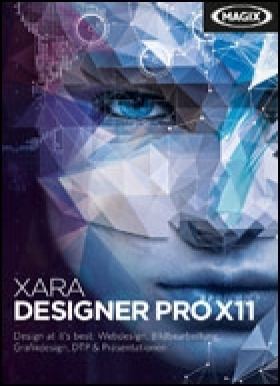 ABOUT THE SOFTWARE The tool for professional design.Xara Designer Pro X11 is the world's fastest all­round design solution, created specifically for the unique requirements of ambitious and professional users. Whether you're creating vector­based graphics and illustrations, designing page layouts and websites, or editing photos, this multi­ward winning software combines all the tools you n… eed in one clear interface for optimal workflow. Advanced features such as Magic Snap and the drag & drop colour system make it easy to get professional results every time. With Xara Designer Pro X11, you can also create impressive presentations and your own animations. A wide range of high­quality design templates for complete websites, various print layouts and license­free design elements make this program a must­have for anyone who is serious about design.KEY FEATURES	Modern design elements for websites: Triggered animations, sticky objects, fullscreen objects and additional mouseover effects More fill methods for blending objects: Soft light, Hard light, Luminosity & Colour New brush containing vectors and bitmaps Improved options for combining several graphics Feature for liquefying vector graphics Edit websites online SFTP and FTPS support Simplified text design Optimised PDF exportSYSTEM REQUIREMENTS	Minimum system requirements:For Microsoft Windows Vista / 7 / 8 / 10 32­bit and 64­bit systems All MAGIX programs are developed with user­friendliness in mind so that all the basic features run smoothly and can be fully controlled, even on low­performance computers. The technical data for your computer can be found in the control panel of your operating system. Processor: 700 MHz RAM: 512 MB Hard drive space:300 MB free memory for program files Graphics card: Onboard, min. resolution 1024 x 600px Internet connection: Required for registering and validating the program, as well as for some program features. One­time registration required. Supported import formats: Image: jpg, bmp, psd, tif, ai, eps, svg, gif, tga, etc. Video: flv, swf, mp4, wmf Other: docx, pptx, pdf, html, htm, rtf, etc. See magix.com for a full list of supported models. Supported import formats: Image: jpg, bmp, psd, tif, ai, eps, svg, gif, tga, etc. Video: swf, wmf Other: docx, pdf, html, htm, rtf, etc. Copyright © MAGIX Software GmbH, 1994­2015. Xara is a registered trademark of Xara Group Ltd. Xara Group Ltd. is an affiliate company of MAGIX GmbH & Co. KGaA. MAGIX is a registered trademark of MAGIX GmbH & Co. KGaA. Other mentioned product names may be registered trademarks of the respective manufacturer. The represented texts, graphics and photos are only intended to provide information on MAGIX products and contain copyright­protected material. Reproduction and distribution of this material is therefore not permitted and shall require the express permission of MAGIX.